Have you ever encountered that your Computer does not boot normally? Therefore, you need to recover your data from the system before you format the Computer since the data located in the same Drive with the operating system has installed. So, easiest way to recover these data is booting the Computer with Live Bootable cd (emegency disk). 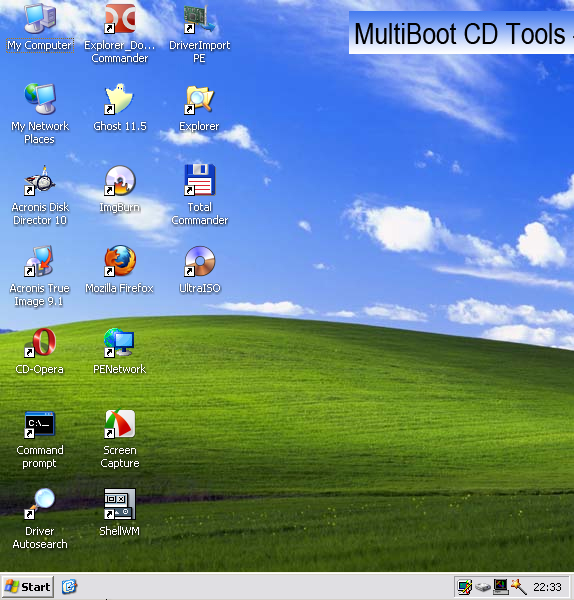 I am going to discuss about Multiboot CD which contains many features for recovering data, resetting login passwords, partitioning drives, Memory testing and more. You can download Multiboot CD iso from torrent download. Check these links for download link1& link2. In order to boot from this CD, initially you need to write this downloaded ISO file into a CD using a image CD writer like Nero. Then, put the bootable CD into CD ROM and restart your Computer. Change the boot priority by entering into BIOS menu. After that, you will be able to boot from this CD. You will see several options to choose like above figure. Select any feature to boot from that. 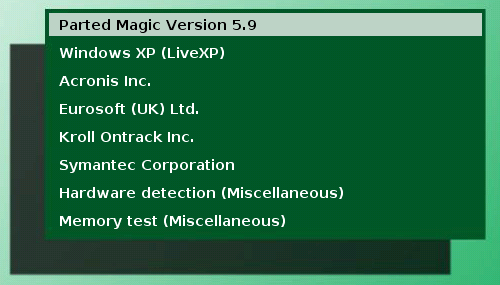 When i selected Parted Magic Version 5.9, i was able to enter to the below live desktop. There is a live Windows XP feature is also available in the menu. So, you can enter to this Windows XP desktop for doing various system administration tasks.